If you’re a keen follower of professional squash, you’ll know that Nick Matthew and Nicol David are the sport’s current World Champions. In early December, Matthew became the first Englishman to win the World Open, beating his compatriot James Willstrop in the final. Three months earlier David, from Malaysia, beat Egypt’s Omneya Abdel Kawy to retain the Women’s World Open title. But what about Jamie Mathews and Christine Ferreira? Ever heard of them? Well, if you haven’t, maybe it’s time to look them up. They’re part of the increasingly diverse – and increasingly connected – global squash community. Just like you. Mathews and Ferreira are the reigning Deaf Squash World Champions. 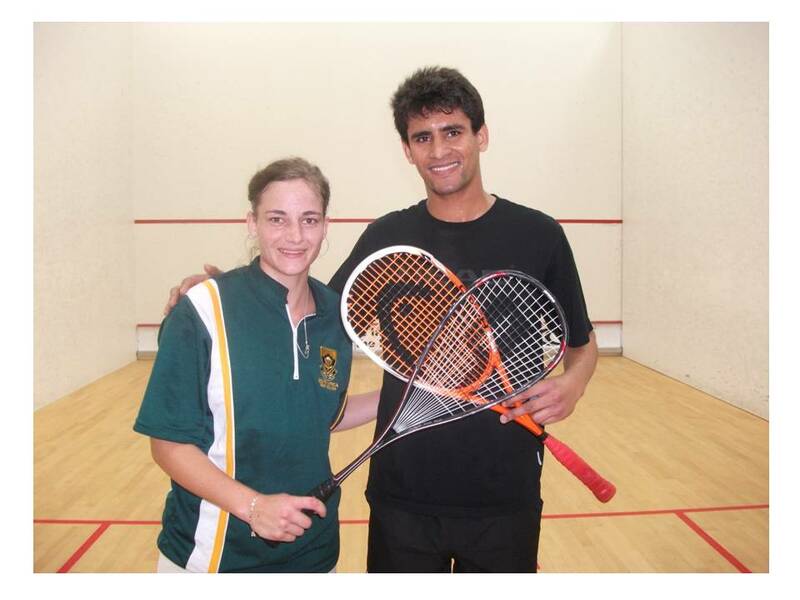 Organised by World Deaf Squash Incorporated (WDSI), the 5th Deaf Squash World Championships took place in Palmerston North, New Zealand in October 2010. Both finalists in the men’s competition were English, with top seed Jamie Mathews beating second seed Phil Thomas 3-0 to retain the title he won in South Africa in 2007. The women’s final was an all South African affair with Christine Ferreira beating top seed Theresa Greenwood in straight games. South Africa also became women’s team champions with England taking the men’s team crown. The WDSI itself was formed in 2003, just after the 2nd World Championships, held in Zoetermeer in the Netherlands. The organisation currently has 6 national members – Australia, England, Netherlands, Pakistan, Scotland and South Africa – although Individual players from a number of other countries including Canada, Ireland, Luxembourg, New Zealand and the USA frequently take part in its competitions. But the WDSI wouldn’t exist if it wasn’t for the emergence of organised deaf squash competition at a national level, England and Pakistan being just two examples. The English Deaf Squash Association was originally formed in 1998 as the National Association for Deaf Squash. In 2000, the organisation’s name change coincided with the birth of a new national tournament established with the involvement of Rebecca Macree, herself a profoundly deaf person and former world-ranked No 7. Since it’s creation, the tournament has since been held on an annual basis, the winner being presented with the Rebecca Macree Trophy (RMT) for Deaf People. Further East, in another distinguished squash-playing country, 2005 saw the creation of the Pakistan Deaf Squash Association. As in England, the country’s National Deaf Squash Championship was created in the same year and has also taken place on an annual basis. The current national champion is Bihar Tilal here shown winning the 4th Championship title in 2009. But which people are eligible to take part in deaf squash competitions? The CISS is the oldest international organisation promoting sport for disabled people. It was founded in 1924 when two deaf European men, Eugène Rubens-Alcais of France and Antoine Dresse of Belgium, saw the need for an international sports governing body to stage quadrennial games for the deaf in an Olympic format. In fact, the constitution of the CISS is consistent with that of the International Olympic Committee which gave full recognition to the CISS in 1955. So, you could reasonably expect Deaf Squash to be a candidate for inclusion in the rapidly-expanding Paralympic Games. And you’d be wrong. But maybe not for the reason you’re thinking of. Deaf sports in general tend to be regarded by many hearing people as being intended for participation by disabled individuals. But deaf sports are different as borne out by the existence of the Deaflympics, formerly known as the World Games for the Deaf. Deaf sport organisations have always resisted suggestions that the Deaflympics should become part of the Paralympics. The major reason for this resistance is based on the principle that, whereas the Paralympics provide sporting events for the physically disabled, deafness is, in reality, a communication disability in a hearing society. Easily understandable, if you think about it. So why is Deaf Squash not currently included in the Deaflympics? Well, as with the Olympic Games, the inclusion of new sports in the Deaflympics is decided with reference to a range of criteria such as levels and standards of participation, potential popularity with spectators, and the maturity of the sport in an international context. So, having had its own governing body for only 7 years or so, Deaf Squash may still be in the process of establishing itself. At least with regard to its inclusion in the Deaflympics. Which all leads me to point out the need for squash lovers, hearing impaired or not, to connect to and communicate with the Deaf Squash members of the global squash community. To share the news and share the passion. The last time I looked, the English Deaf Squash Association, the Pakistan Deaf Squash Association and the South Africa Deaf Squash Association had all set up their own Facebook pages. Ideal places to connect and communicate, I’d say. After all, there’s no need for digital communication disability in a digital hearing society. I suppose that squash isn’t such a mainstream sport that it appears regularly in light entertainment TV programmes. Well, at least not in the UK. In fact, I can remember only two occasions where a squash club setting was used as a key feature in what’s now known as terrestrial television. Once in a comedy drama and once in a much-loved comedy sketch show. Clinger n A ball running right along the side wall which is difficult to hit. A clinger may be the result of a straight drive or of a cross-court drive which squirts from the nick high up between the front and side walls. 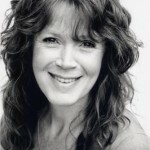 The Clinger was a 60 minute play shown on UK television in 1986 as part of a series of dramas entitled Love and Marriage. 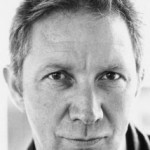 Set in a squash club and taking place over a single evening, it traced the fortunes of Alan (Richard Hope) in his attempts to impress fellow club member Samantha (Sallyanne Law). Playing an internal league match against old hand Ernie (Ron Pember), Alan finds himself battling not just against his own nervousness, but also against Ernie’s superior court craft and his strongest shot, the clinger. Alan’s romantic fantasies slowly turn into a nightmare as he’s given the run-around by Ernie only to be handed a lucky break as the match moves towards its inevitable conclusion. Ernie collapses and dies of a heart attack thereby forfeiting the match! Running through The Clinger were a number of humorous storylines dealing with the petty politics of squash club life including the point scoring rules for the internal leagues. These, of course, come sharply into focus following the dramatic conclusion of Alan and Ernie’s match. An impromptu eulogy is given by club chairman Jack (Alan David) as Ernie is stretchered off court to a waiting ambulance. Jack pays tribute to Ernie and his clinger only to be lobbied by various club members anxious that, as a result of Ernie forfeiting his match, they will be denied promotion or relegated from their league. Naturally, Alan wins the match by default….and gets the girl. Ringer n One who misrepresents his or her identity or ability in order to gain an advantage in a competition. A couple of months ago I found myself in a queue in a London bookshop with Ronnie Corbett, the surviving (and smaller) member of The Two Ronnies comedy partnership. 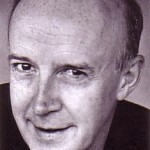 It was recently Corbett’s 80th birthday, an event marked by repeat broadcasts of many of his best known TV sketches as well as a new programme involving a range of British comedians. One such sketch with Ronnie Barker sees the two engaged in changing room banter after a squash match. Corbett plays the experienced club player with Barker, a complete novice who has apparently played his first game ever – wearing a business suit. Barker is seeking clarification of the squash scoring system from the humiliated Corbett having just beaten him 9-1, 9-0, 9-0. Corbett’s solitary point has apparently been won at the start of the match when Barker was still holding the wrong end of his racket. I’ll leave it to you to decide whether Barker plays a ringer in this sketch but 25 years after its first broadcast, it still has the power to bring a smile to the face. 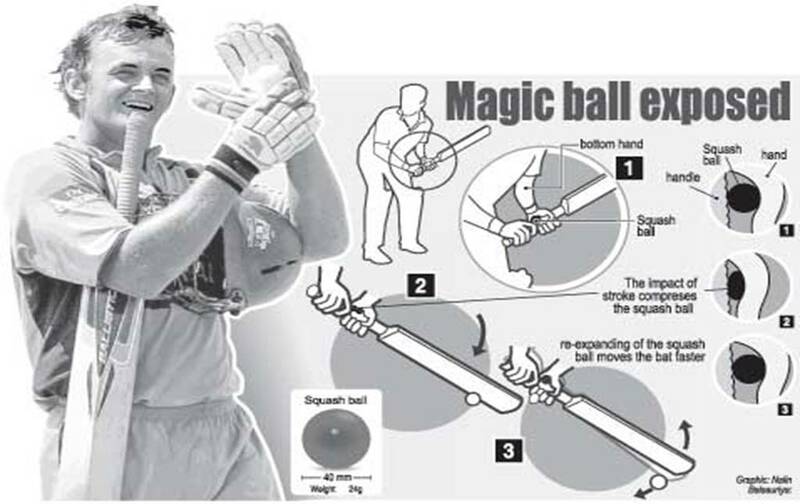 Even though I’m a follower of cricket, particularly the five-day Test Match variety, I have to admit that the Australian Squash Ball Incident of 2007 – branded Gillygate by the Aussie media – completely passed me by. Maybe it was because it happened during a one-day limited over match, even though that match was the final of cricket’s prestigious World Cup tournament, held every four years. On the other hand, maybe it was because ‘my team’ England had long since been knocked out of the tournament, not being particularly effective at the one-day game. However, I suspect that it was more likely that I’d completely forgotten that the tournament was still being contested having been going for nearly 7 weeks. In fact, the final was the competition’s 51st match meaning that it had taken 50 matches, played in locations throughout the Caribbean (and even Guyana in South America) to eliminate all but 2 of the 16 teams competing. But back to the squash ball incident. The World Cup final, held on April 28th in Bridgetown, Barbados, was won by Australia who beat Sri Lanka by 53 runs. Big-hitting wicket-keeper Adam Gilchrist was Australia’s top scorer with 149 runs made off just 104 balls, a highly impressive innings and strike rate in terms of the one-day game. 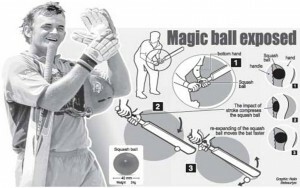 But after the match, Gilchrist revealed that he’d inserted a squash ball into one of his batting gloves to provide ‘extra grip’ (see video clip). The Sri Lankan cricket authorities immediately accused Gilchrist of unethical behaviour in using the ball. A debate raged in the media for weeks even though the Marylebone Cricket Club, the body responsible the rules of cricket, judged that Gilchrist had not contravened the spirit or laws of the game. A Gichrist’s Squash Ball ‘Unethical’ page even appeared on Facebook (see link). Herath’s ‘scientific perspective’ comprised a series of statements unsupported by any scientific evidence whatsoever. It appeared together with the following graphic bearing the less than objective title ‘Magic ball exposed’. Herath’s attempt to undermine Adam Gilchrist’s reputation as well as to simultaneously mindread his intentions did not prevent Mahendra Singh Dhoni, the captain of India’s cricket team, from copying Gilchrist. In February 2009, Dhoni inserted a squash ball into one of his gloves before he batted in the first one-day international – again against Sri Lanka – in Dambulla. He made an unbeaten 61 as his team beat Sri Lanka by 6 wickets (see link). The Sri Lankan cricket authorities were, in cricketing parlance, caught on the back foot when asked to comment on Dhoni using a squash ball, as well as on history repeating itself. “No, I am not aware about this but would certainly find out whether we can lodge an official complaint about it”, said Duleep Mendis, Sri Lanka Cricket’s Chief Executive Officer. The Australian Squash Ball Incident has now passed into cyberspace mythology, if there is such a thing. Gilchrist squash ball is now a registered Google Keyword. At the last count, it gave 6240 results. After March 30th, 1983, answering the question “What is the longest squash match on record?” got a whole lot easier. That was the day that Pakistan’s Jahangir Khan and Egypt’s Gamal Awad played a match in Chichester, England which lasted 2 hours and 46 minutes. And it didn’t even run to five games, Jahangir eventually winning 3-1 after losing the first game 9-10. It was the era of hand-out scoring where only the server could win the point for that rally. Lose the rally as server and you lost the serve. That’s all. In many ways, the match statistics reflect the scoring system. It was almost 15 minutes before a point was scored. One rally alone lasted for 7 minutes and ended in a let. The acrobatic Awad, known as The Rubber Man or The Grasshopper, took the first game after 1 hour and 15 minutes, still the longest on record. After that, the rest of the match almost raced by, the next three games taking a mere 1 hour and 31 minutes. The introduction of PARS (Point A Rally Scoring) to the professional game was intended to make attritional contests such as the Chichester marathon shorter, as well as to encourage shot making. A strategy which, to a large extent, worked. But more recently, the epics have returned. In December 2008, fourth seeded Shawn Delierre overcame top-seeded fellow Canadian Shahier Razik to reach the final of the Baltimore Cup in Baltimore, USA, in a 5-game, 2 hour 30 minute marathon. At the time, it was is the longest recorded squash match since the introduction of PARS. In April, 2010 two Malaysians, Ivan Yuen and Mudh Asyraf Azam, played another 5-game match lasting 2 hours and 43 minutes – just 3 minutes shorter than that at Chichester – in a qualifier for the 5 Star Indian Challenger Tournament in Kolkata, India. And finally, in October 2010 at the Commonwealth Games in Delhi, India Mohd Azlan Iskandar of Malaysia beat England’s Daryl Selby in a 4-game quarter-final match lasting 2 hours 15 minutes. 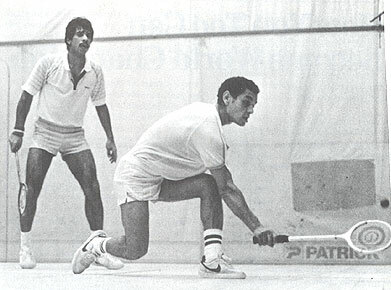 But even when the 1983 Chichester record is broken, I suspect that it’s the story of that match between Jahangir and Gamal Awad (see picture) which will not only live in the memory but will pass into squash legend. Sadly, one of its heroes, Gamal Awad, died of a heart attack in Alexandria, Egypt in November 2004, aged just 49. He retired from the professional squash circuit in 1987, following problems with knee injuries. The highlights of his career were as runner-up in both the 1982 World Masters and the 1983 British Open Squash championships – in both cases to Jahangir. But perhaps he’ll always be best known for participating with Khan in that match in Chichester in 1983.